Don't let real estate agents or the News Corporation press (including realestate.com.au) hoodwink you. The Brisbane apartment market is not booming. In fact, it is going backwards. Compared with inflation, not great capital gains. If you bought at the peak, you are still 5% below, not taking into account stamp duty and real estate agent fees for selling. So ignore the headlines and look at the detailed actual results (that is, Brisbane apartment prices, and not Australian housing in general or Brisbane house prices). 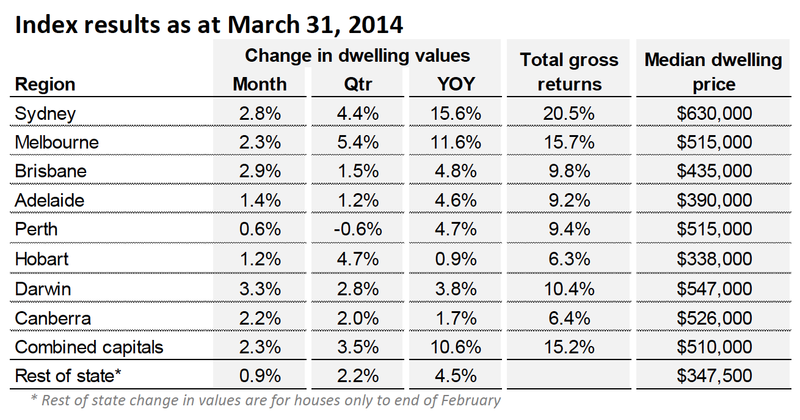 "After a flat February result, the RP Data – Rismark Home Value Index finished the March quarter in a strong fashion with dwelling values rising 2.3 per cent over the month to post a 3.5 per cent capital gain over the first quarter of the year. 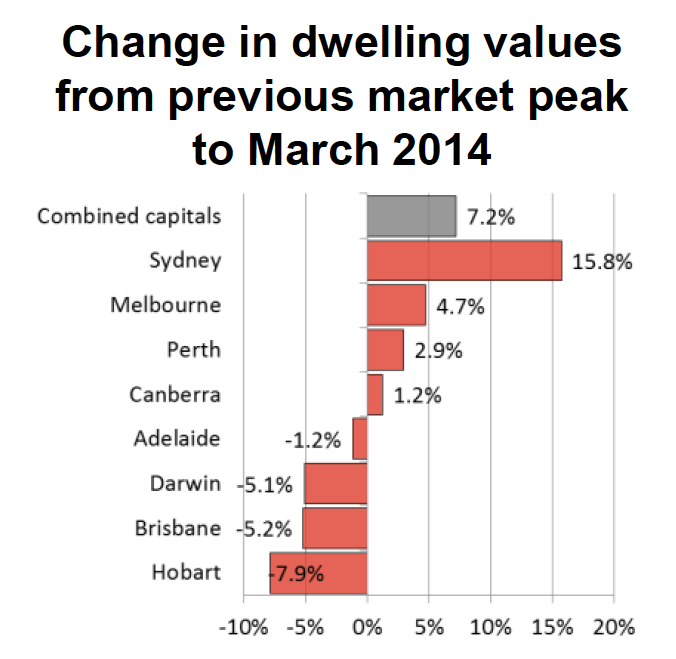 Apart from Perth, every capital city recorded a rise in dwelling values over the past three months. Melbourne posted the highest level of growth at 5.4 per cent over the quarter with Sydney and Hobart also recording a strong result in the March quarter with values up 4.4 per cent and 4.7 per cent respectively. According to RP Data research director Tim Lawless, half of all Australia’s capital cities are now posting record high dwelling values, with Sydney’s housing market showing the most substantial increase beyond its previous market high." Median price based on settled sales of Brisbane apartments over the quarter - $368,000.